Part 1: A selection of top insight from around the industry, live from the show floor at IP EXPO Europe 2018. 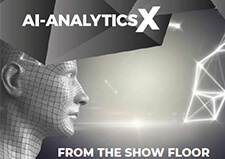 A selection of top insight from around the industry, live from the show floor at AI-Analytics X 2018. Part 2: A selection of top insight from around the industry, live from the show floor at IP EXPO Europe 2018. 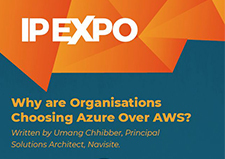 Sponsored whitepaper: Discover why organisations are choosing Microsoft Azure over Amazon Web Services! 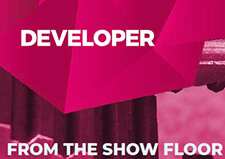 A selection of top insight from around the industry, live from the show floor at IP EXPO Europe 2018 tailored specifically for the developer. 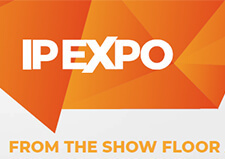 Registered for IP EXPO, Cyber Security X or AI-Analytics X? 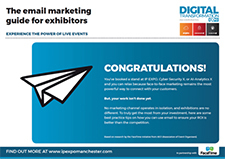 If so, why not get some top tips on how to attract visitors to your stand at the live event! 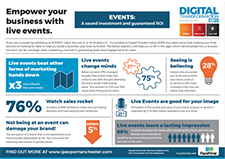 Discover the stats behind what makes face to face event marketing so powerful! 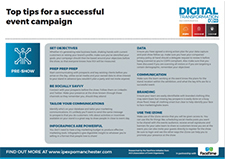 A selection of top tips pre-show, during, and post show to help you absolutely boss your time at the live show and to help you achieve that coveted ROI. Cutting emissions cannot be ignored, discover how to be more energy efficient, reduce power consumption, and ultimately cut carbon emissions. 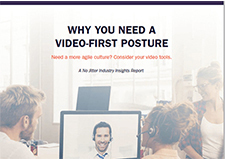 With the help of Zoom and No Jitter Research, discover how a video first culture could enable your business. 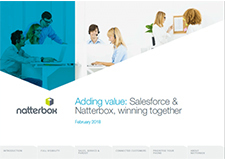 With demand for personalised customer experience rising, discover how Nattterbox are using their service infrastructure to be superstars of customer service. 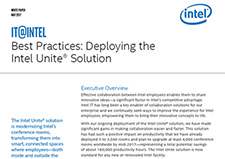 Find out how Intel are modernising conference rooms to enable innovation by creating smart and connected spaces. Dr Sue Black - Independent Speaker - Did Twitter Save Bletchley Park? Andrew discusses how the digital revolution has failed and how we can get this back on track by fixing the future. Dr Fry highlights the importance of how algorithms are actually going to be used and not just marveling at this amazing tech. Colonel Hadfield helps to apply an astronaut's view to the enterprise IT industry in a time of constant change. Cisco's Neil Trevains shares his top 3 tips from his session, live from IP EXPO 2018. John Hammett’s Top 3 Takeaways Accenture's John Hammett shares his top 3 tips from his session 'Scaling DevOps' live from IP EXPO 2018. RedHat's James Allen shares his top 3 tips from his session 'OpenSource The DevOps Enabler' at IP EXPO 2018. Sean Herbert tries to beat the clock in his pitch on how Baramundi are helping customers to control their end point environment. Matt Boddy tries to beat the clock in his pitch on how Sophos are helping customers with mobile security, specifically BYOD devices. 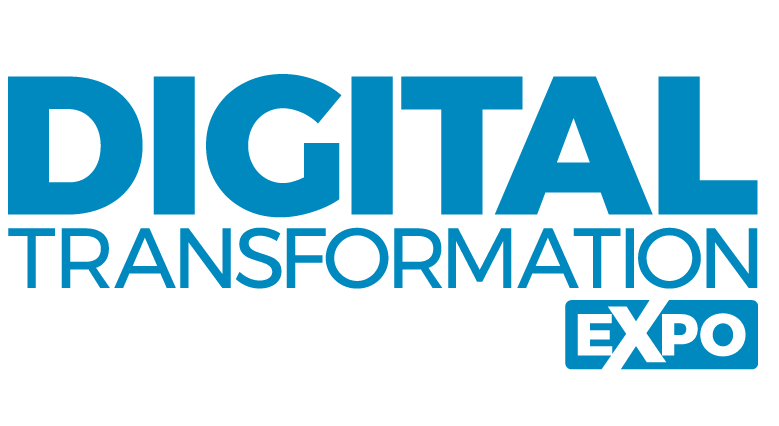 Emma Everett tries to beat the clock in her pitch on how Gamma are helping customers in their digital transformation journeys.